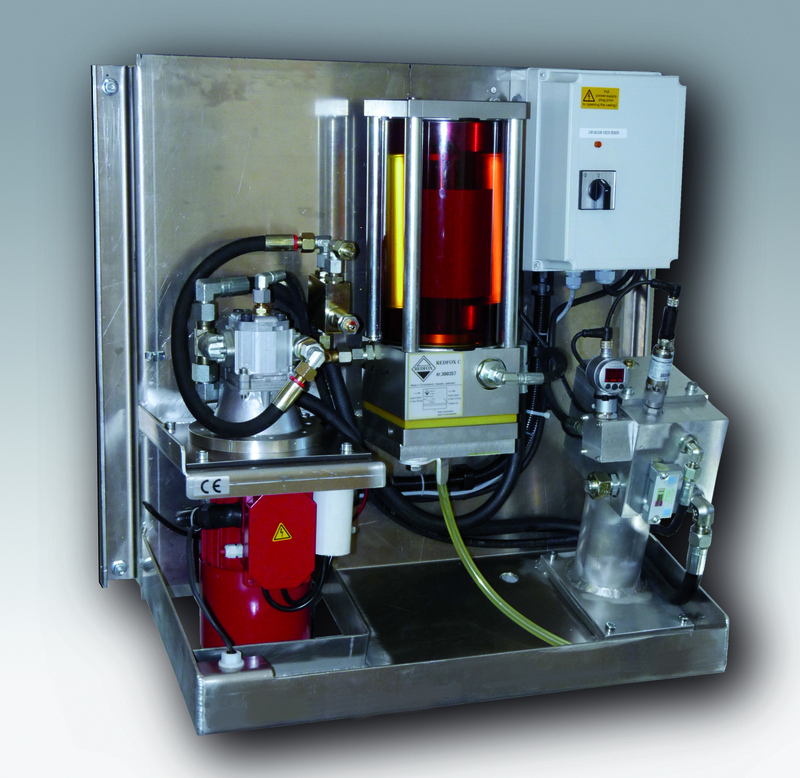 REDFOX develops, manufactures and sells own patented products for continuous degassing of oils during operation. The company is situated in Örnsköldsvik, Sweden. It started as an consultancy company in hydraulics and a lot of problems were discovered caused by water and air in oil. This led to our own new product called REDFOX. Today we have patented this degassing product that can be mounted on mobile machines as well as on stationary systems and transformers. REDFOX – A new hydraulic component, which degasses and dehydrates the oil in different systems during normal operation. A very simple and reliable construction where the same oil that is degassed also powers the built in vacuum-pump and suction pump. No oil changes or electronics necessary, just two hydraulic connections. It is adapted to be built-in in all types of hydraulic systems, in lubrication systems and in oil-filled power transformers. REDFOX makes it possible to make totally closed systems where the oil is separated from the atmospheric air. Standard unit that is recommended for most systems where the priority is to reduce both water and gas content in oil indoors or outdoors. A unit that is recommended for indoor applications where the fast dehydration capacity is in priority. Why invest in a REDFOX-TCU? Heat, oxygen and water makes the transformer grow older. Oil and cellulose insulation will chemically degrade. Oil changes is necessary and in time the transformer needs to be replaced. Degradation speed is reduced if the amount of water and oxygen are kept stable on low levels. This is where REDFOX-TCU has its task. Through vacuum technique REDFOX reduces the content of water and air and then increases the remaining transformer life many times. This gives a large economical benefit because the new investment is moved into the future. REDFOX-TCU is a complete degassing system including a REDFOX-C unit, an electrically powered hydraulic pump, a particle filter, security valves, pressure gauge with alarm settings and a level switch, all connected to an electric box. These components are mounted on a stable bracket that also acts as a cooling surface. A weather protection hood makes indoor and outdoor applications possible. If you want to maximize the effect of REDFOX we can supply a membrane that slows down the new penetration of gasses in the expansion reservoir. REDFOX will then customize a membrane to be mounted in the reservoir to separate the oil from direct contact with atmospheric air. REDFOX AB have made a construction of a membrane in a durable material that can withstand high and rapid volume changes in a tough environment as in forestry machines.